Are you looking for short-term loans to meet your monetary needs? In Utah, you can take a FLEX Loan from Advance Financial. FLEX Loans offer a minimum sum of $100 to a maximum amount of $4,000 to meet your cash needs. A FLEX Loan is an open line of credit where you can withdraw more cash whenever you need. 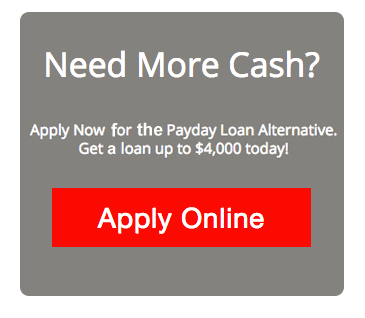 In Utah, Payday Loans offer short-term loans up to $500 that will be due by your next payday. Unlike FLEX Loans, Payday Loans don’t have an open line of credit and are a single-time transaction. With Payday Loans you need to payback the debt by your next payday and on the other hand, FLEX Loans allow you to set a flexible loan tenure and also permits you to pay the debt in minimal amounts on each due date. FLEX Loans allow you to withdraw only the amount you need and pay interest and fees on the amount withdrawn from the date of borrowing. While, Payday Loans don’t offer extra cash and you need to pay interest on the whole loan amount. To conclude, Advance Financial in Utah offers FLEX Loans that offer you cash from $100 up to $4,000. With FLEX Loans you can use the amount you want and the interest and fees are charged only on the amount used from the date of borrowing. The balance of cash will be your line of credit which is kept open for you to get extra cash within your credit limit whenever you need. FLEX Loans allow you to pay back the loan in minimal due amounts.